The HBR team opened their week with a trip across the border to Quebec, Canada on Monday and Tuesday with the Super DIRTcar Series. Monday evening had the team at Autodrome Granby in front of a packed house. Jimmy Phelps started off on a good note with a heat race win, placing him into the top-12 redraw. By luck of the draw, Phelps rolled off on the outside of the third row for the 100-lap main event. Teammate, Max McLaughlin, battled a rough race track surface in his heat race. McLaughlin finished where he started, in third. McLaughlin lined up on the inside of the fifth row for the main event. McLaughlin and the no.6h team settled for a 10th-place finish. The team continued their momentum into Tuesday at Autodrome Drummond. Phelps finished fourth from his third-place starting spot. Phelps started on the inside of the seventh row for the main event. McLaughlin started third and clicked off a spot in the heat race. 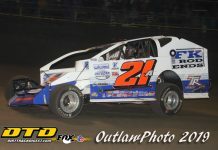 McLaughlin’s second-place finish placed him into the top-12 redraw for the 100-lap main event. By luck of the draw, McLaughlin started on the inside of the third row. McLaughlin capped off his Quebec trip with a fourth-place finish. 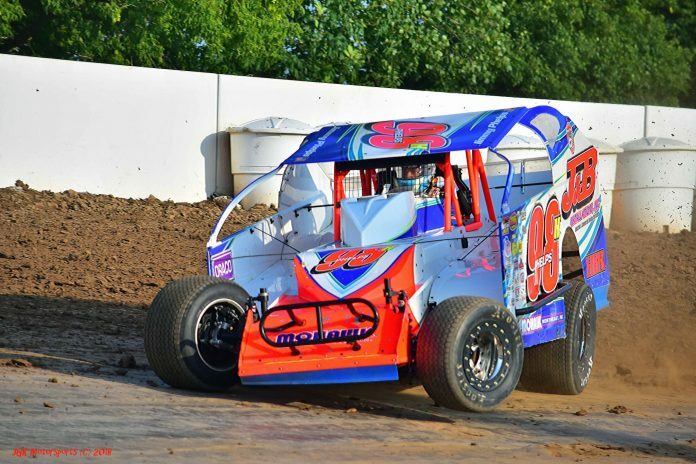 A last-minute decision had Phelps and his team going to Brewerton Speedway for a 358 modified DIRTcar event. Phelps started ninth in his heat and finished seventh, missing the transfer. Phelps rolled off third and finished second in the consi, which lined him up 23rdfor the main event. Phelps clawed his way through the field to close out the evening with a sixth-place finish in their 358 modified from deep in the pack. 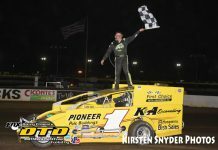 Saturday had the team back at Weedsport Speedway for the Hall of Fame 100 with the Super DIRTcar Series. Phelps was hot right off the trailer. Phelps grabbed the fastest time overall in timed hot laps, his first quick time with the Super DIRTcar Series since 2016. Phelps then went on to win his heat race, placing him into the top-12 redraw. By luck of the draw, Phelps rolled off in seventh-place. McLaughlin started second in his heat and finished second. McLaughlin rolled off in fifth-place for the 100-lap main event. McLaughlin capped off the weekend with a solid second-place finish in his no.6h machine. 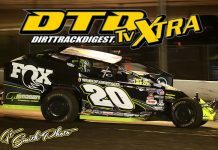 After a three-day race week with the Super DIRTcar Series, McLaughlin currently sits third in the points chase while Phelps sits in a close fourth-place. Next on slate for the HBR team will be a busy four-day race week kicking off at Airborne Park Speedway on Tuesday, then to Fonda Speedway on Wednesday, Brewerton Speedway on Friday and Land of Legends Raceway on Saturday.